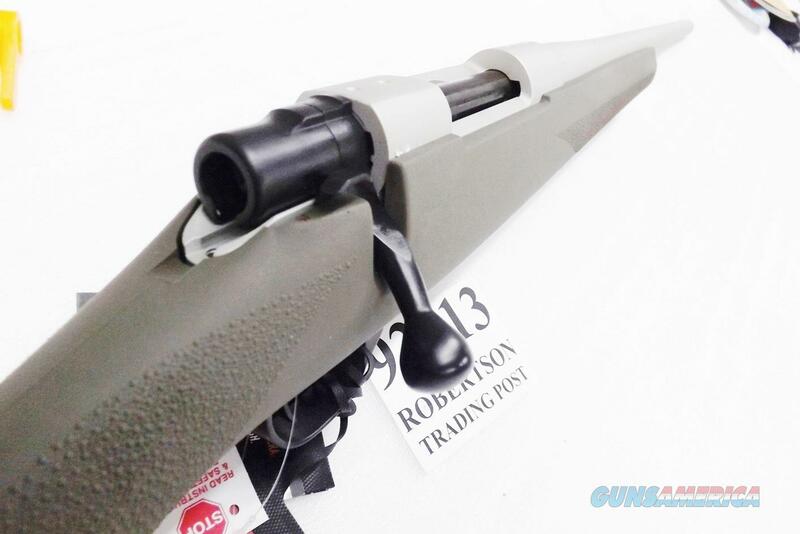 Here is one of the world's best rifles, the Howa model 1500 Heavy Barrel chambered in .308 Winchester Caliber. Manufacturer is Howa Machinery Company Ltd of Kiyosu, Japan. We’ve known Howa Quality for 40 years now, beginning with their Smith & Wesson 1500 Rifles, and continuing with Weatherby’s Vanguard series. Importer and Warrantor is Legacy Sports of Las Vegas. Type is bolt action high powered rifle, with internal magazine and BDL type steel pivoting floor plate. 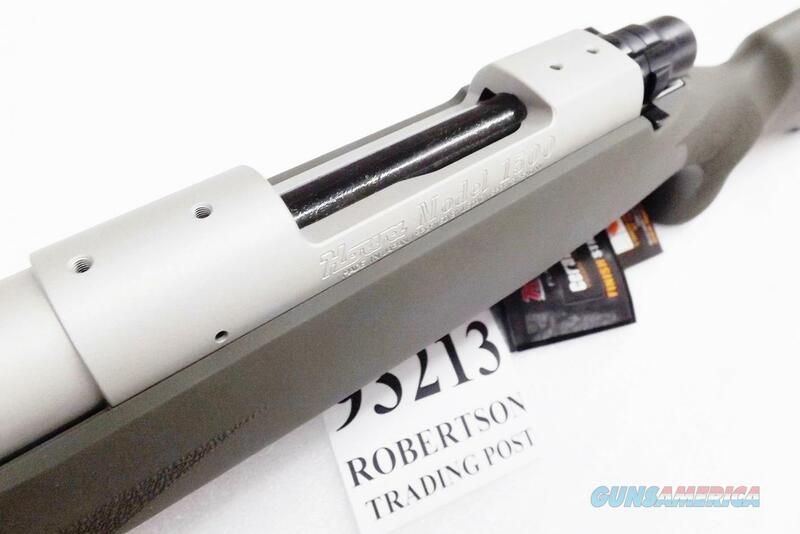 Barrel is free floating, pillar bedded 24 inch heavy .8275 at the muzzle and .905 at the forend outside diameter. Bore is 6 groove button rifled with 1:10 right hand twist. 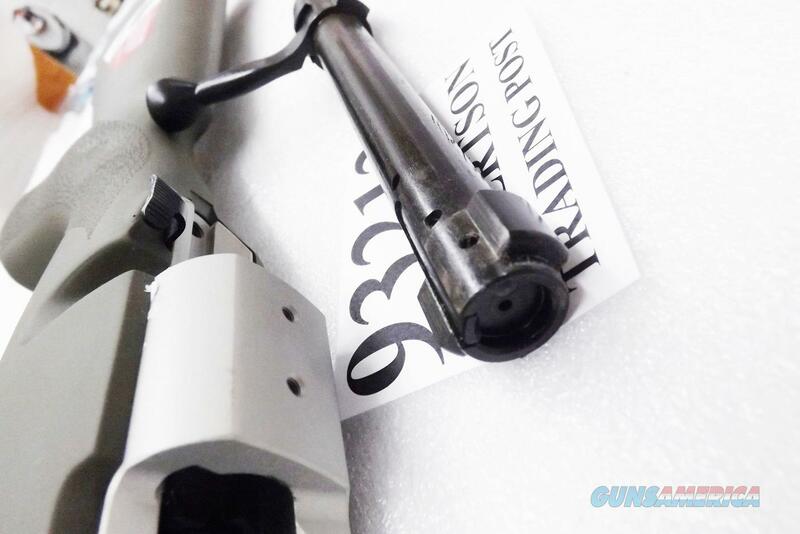 Chambering is .308 Winchester and 7.62x51 NATO interchangeably. 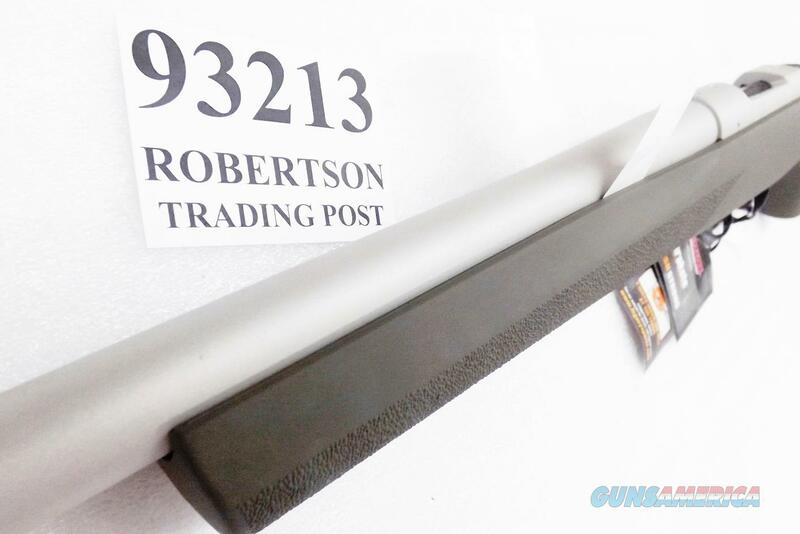 Magazine is internal BDL type with floorplate and release, capacity 4 + 1 rounds. Trigger is .275 serrated face steel adjustable. Photo specimen pulled two stage at 4 pounds with negligible felt creep and overtravel. 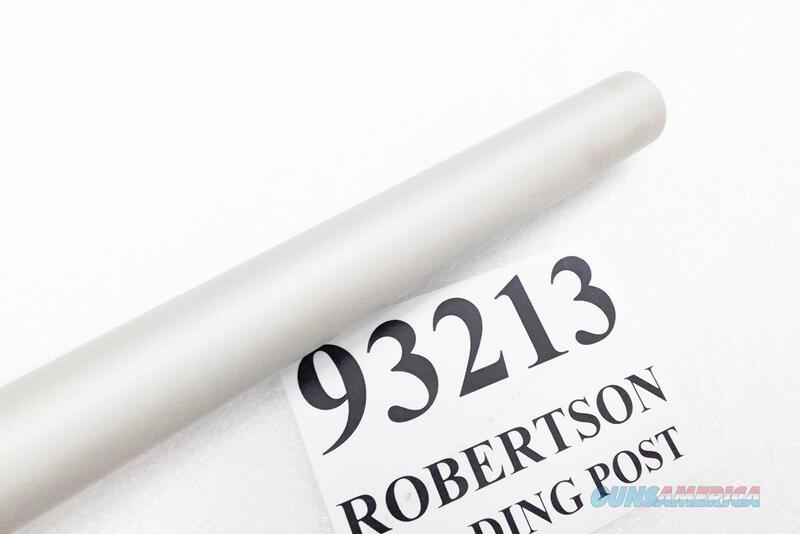 Receiver is four point drilled, 700 type, 3.87 inches center distance between the two nearest hole. A Leupold 700 Long Action Base aligns correctly with the forward two and rear most holes; the action is but a fraction longer than a 700 short action. Port distance is 2.793 inches. 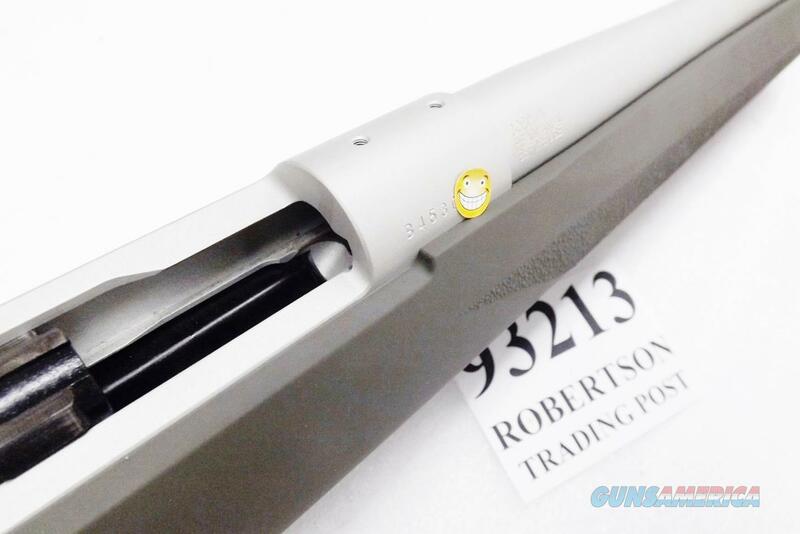 Bolt release is left side serrated; and safety is right side sliding serrated, capable of silent release and engagement. 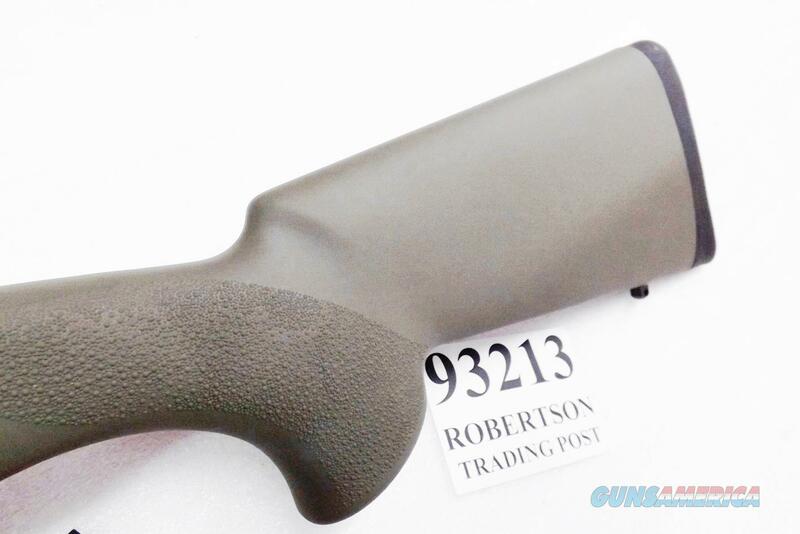 Stock is pliable Hogue OD Green overmold with stippled lateral surfaces on the forend and wrist areas. Drop from chamber ring is 1 1/2 inches at the comb and 1 3/4 inches at the heel. Cast is 3/4 inch right hand, with a 14 1/8 inch pull between the trigger face and the end of the 1 inch decelerator type recoil pad. Swivel studs are 1 inch blue steel QD type. Weight empty is 9 pounds, centered at the forward chamber area. 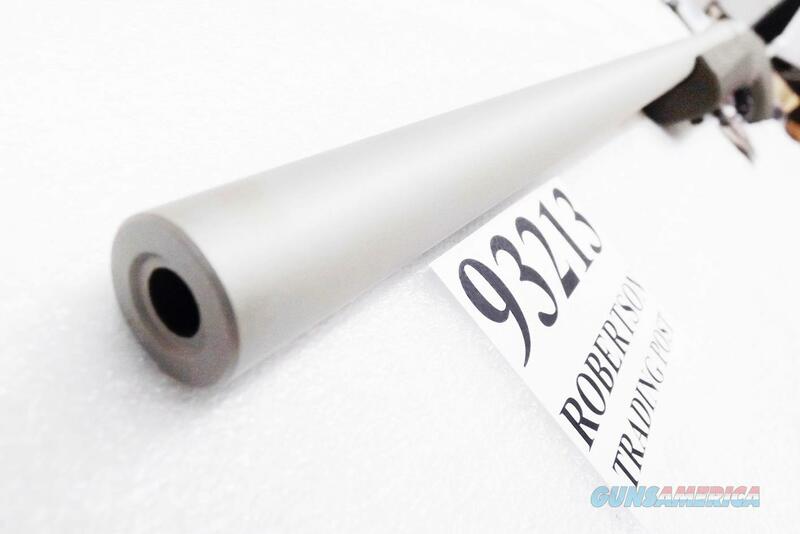 Overall length is 44 1/2 inches. 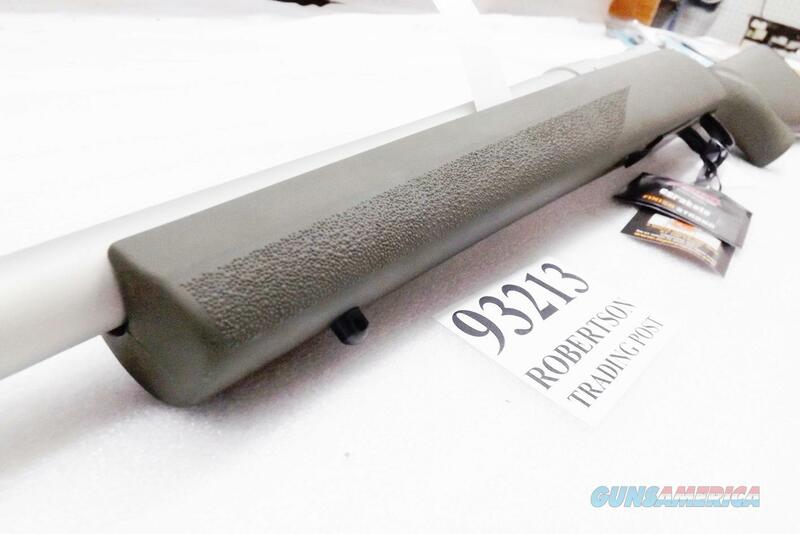 Finish is OD Green stock; satin Cerakote stainless barrel and receiver; and semi gloss blued steel bolt, handle, and trigger/floorplate assembly. 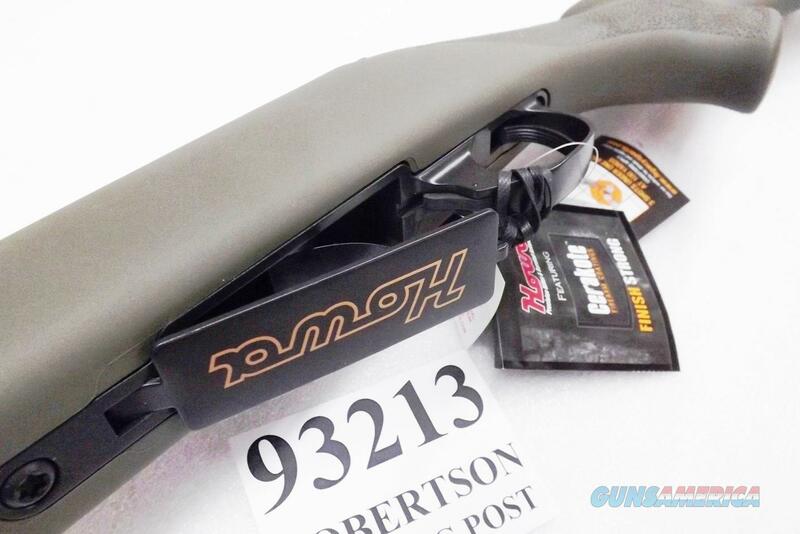 Each Howa 1500 comes in its factory box with 2017 Lifetime Warranty Hang Tag, Safety Warning Hang Tag, Sub MOA guarantee stock sticker, protective papers, and instruction and safety manual. 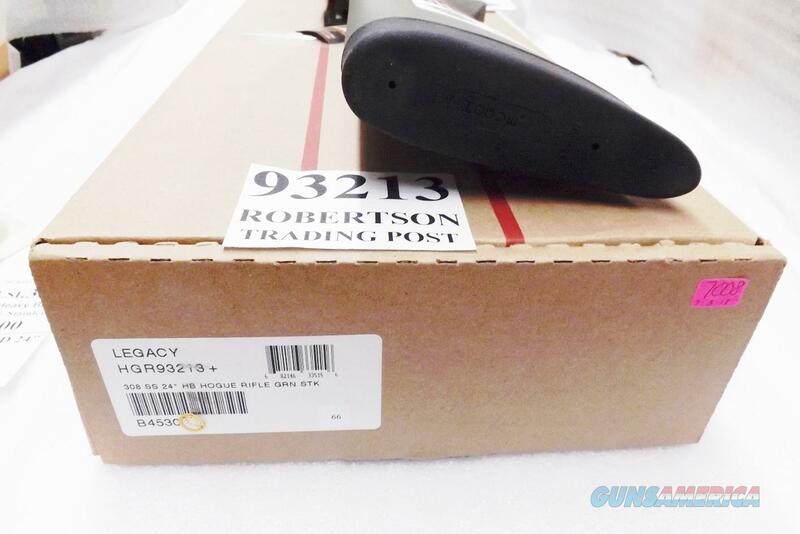 Last replacement pricing on this rifle was $681 on legacysports com. 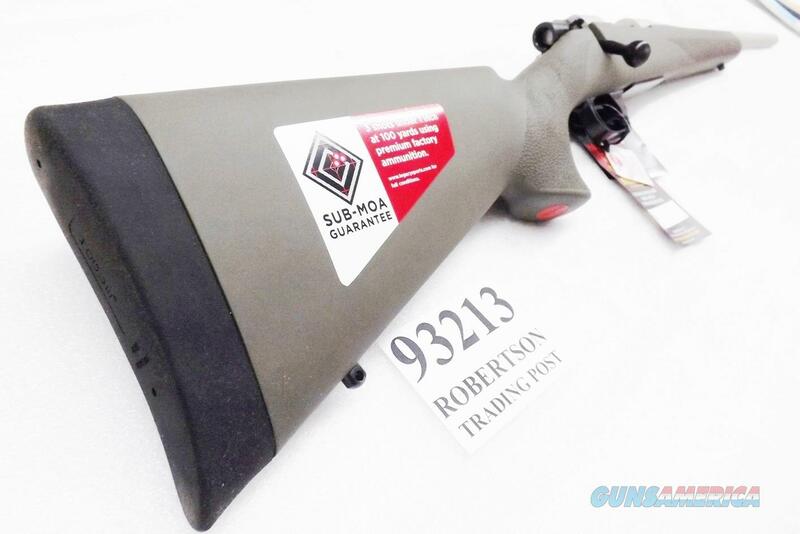 We’re offering the rifle in the photos, however, or one of its identical mates, each	for only	$ 489.00. 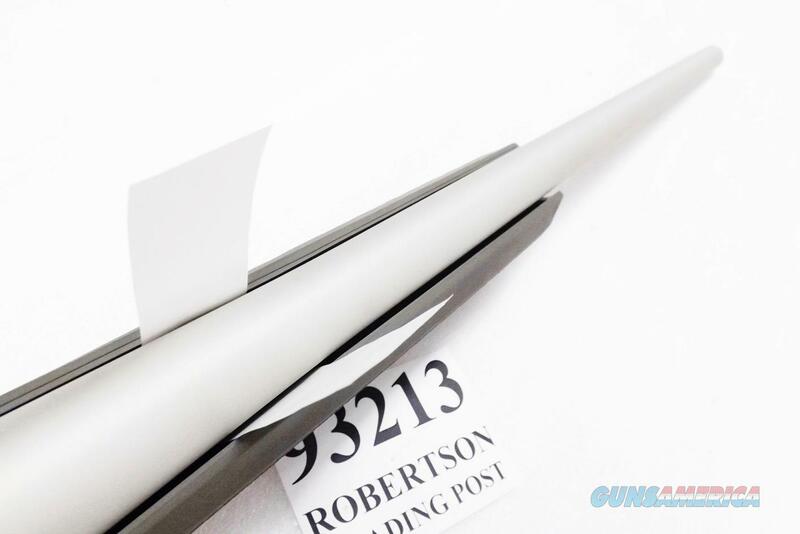 Any ammunition and personnel showing in our photos are Not included. 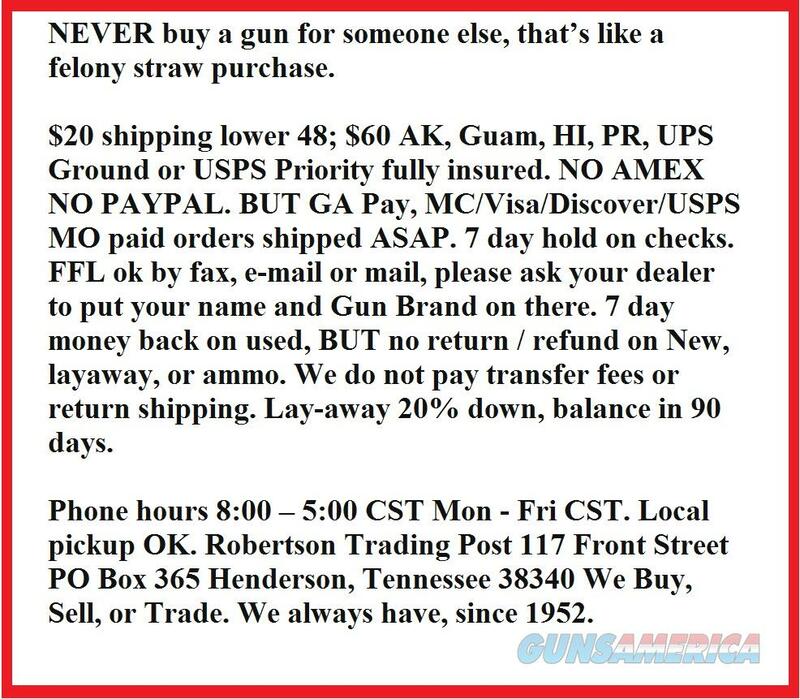 Add any of the following with no extra shipping charges. 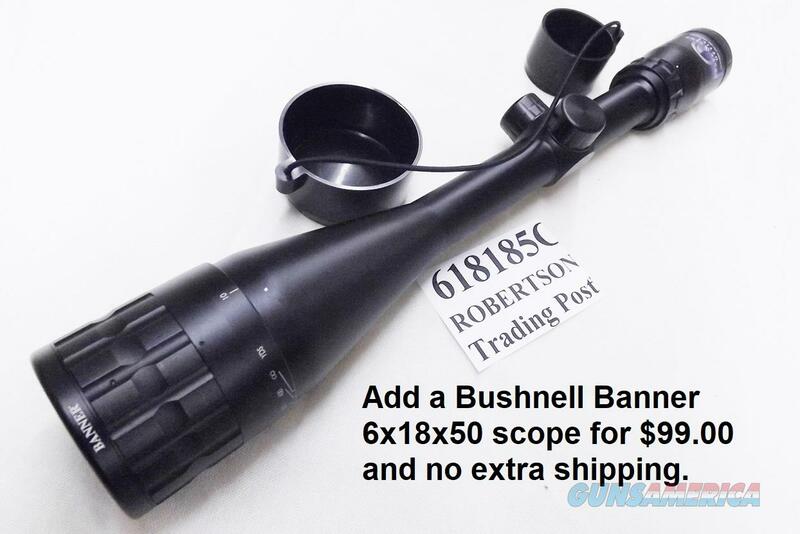 Bushnell Banner 6x18x50 scope for $99.00 each. 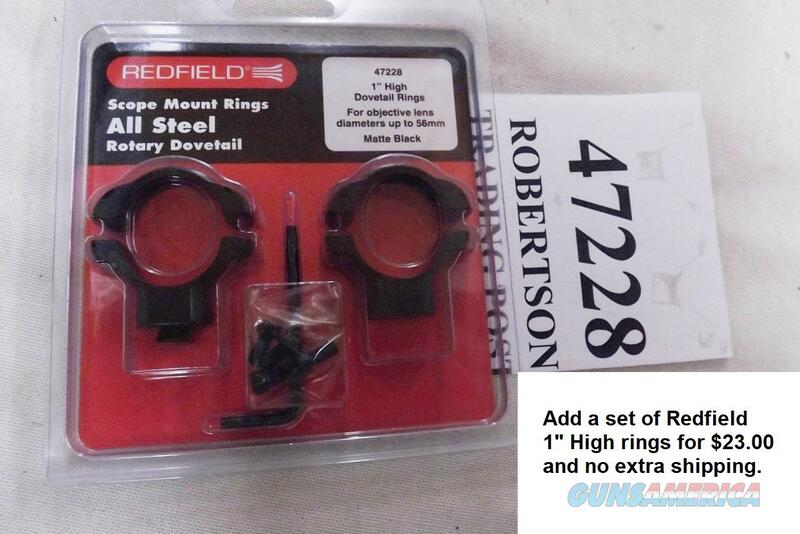 One set Redfield 1” high rings for $23.00 each. 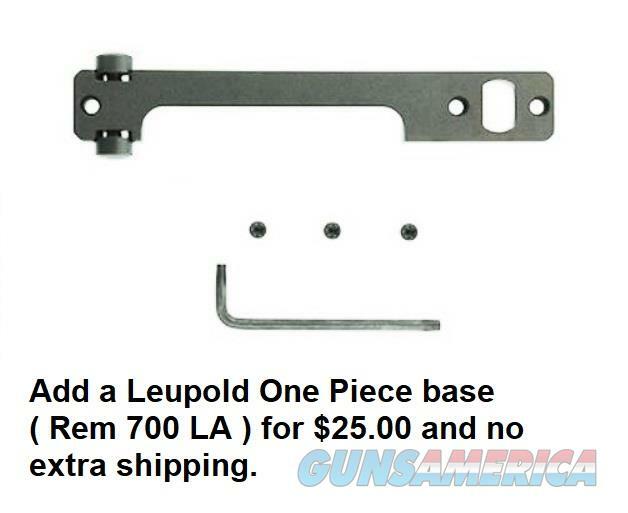 Leupold one piece base for $25.00 each. 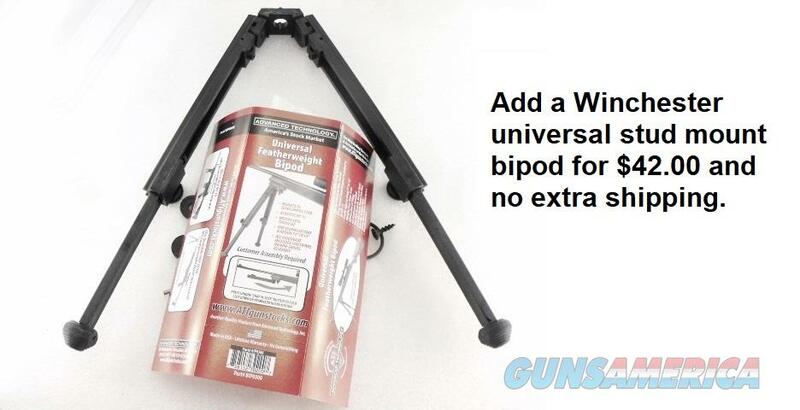 Winchester universal stud mount bipod for $42.00 each. 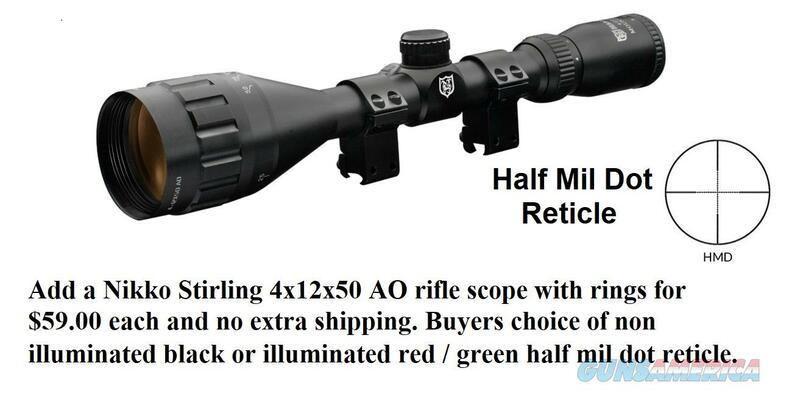 Add a Nikko Stirling 4x12x50 AO rifle scope with rings for $59.00 each and no extra shipping.. 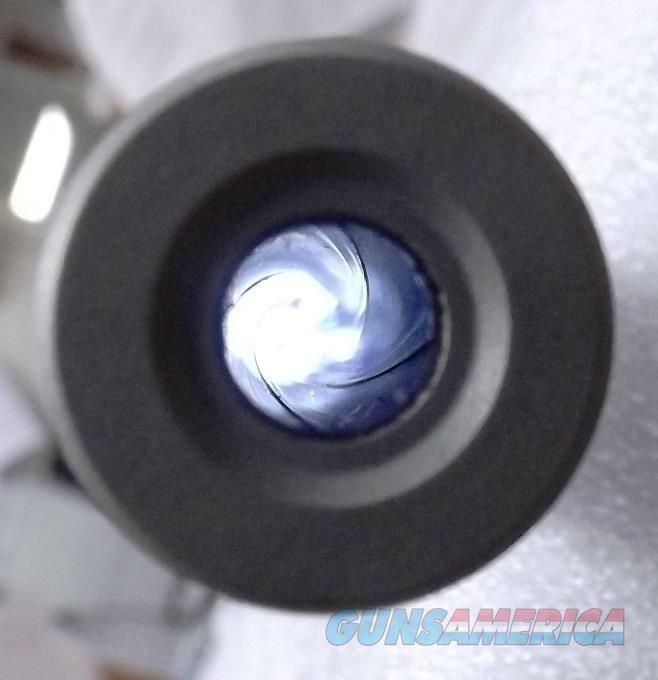 Buyers choice of non illuminated black or illuminated red / green half mil dot reticle.